Pilot Bookkeeping Service provides bookkeeping and other financial services to individuals, startups, and businesses. It offers services like accounting, taxation, QuickBooks support, and assistance in connecting other services like Gusto and Expensify. 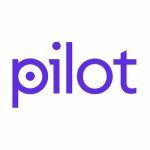 Ready to get started with Pilot Bookkeeping Service? Schedule a free consultation.